Concert and aperitivo with the artists. Featuring classics of Italian Opera and Romantic Piano music, the concert "Christmas Opera Concert in Rome" will take you on a musical journey you will treasure. After the concert you can enjoy an aperitivo with the artists and get to know the people behind the music. The "Christmas Opera Concert in Rome" concert covers a wide array of well-known classics, in an intimate hall in which the musicians are just feet from the audience. Arias and duets from opera greats like Verdi, Puccini, Rossini, Donizetti, Bellini will sound between the hall walls. Exciting pieces for solo piano by masters of the instrument like Chopin and Liszt will be interpreted between the marvellous vocal performances. Apart from the well-known classical numbers and the most beautiful traditional Christmas songs, Neapolitan songs by genre leaders such as "Funiculì funiculà", "Torna a Surriento" or "Core 'ngrato", will round off the programme and give you an exquisite taste of Italian musical greatness. Immediately after the impressive concert, you will have the opportunity to meet the artists drinking Prosecco in the pleasant setting of an aperitivo, a small reception to round off your evening in a quintessentially Italian way. The concert is located just meters away from the Castel Sant'Angelo and the legendary St. Peter's Basilica, in a warm and intimate hall at Piazza di Ponte Sant'Angelo 68. The concert begins at 7:30PM and ends around 8:45PM without interval. Artists include Alessandro Fantini, Giovanni Velluti and Federica Gibilisco or Monica Cucca. The Italian tenor Alessandro Fantini performed, in the course of his career, on numerous Italian and foreign stages, including some very prestigious, such as the Parco della Musica in Rome, the Teatro Comunale in Florence, the Teatro Regio in Turin, the Opéra-Comique in Paris. 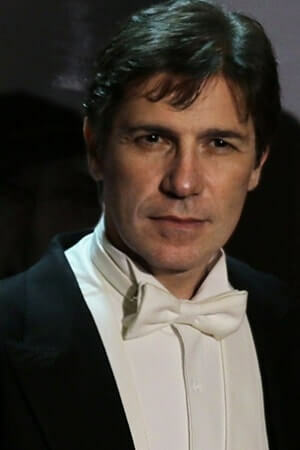 This in leading roles, such as Radamès in "Aida", Manrico in "Il Trovatore", Cavaradossi in "Tosca", Pinkerton in "Madama Butterfly", Calaf in "Turandot", Canio in "Pagliacci", Turiddu in "Cavalleria rusticana". He has worked with conductors, directors and singers of international renown: Evelyne Aiello, Walter Attanasi, Massimo de Bernart, Stefania Bonfadelli, Maria Luigia Borsi, Micaela Carosi, Francesco Ellero d'Artegna, Claudio Desderi, Nicola Luisotti, Paolo Miccichè, Stuart Mounder. The Italian pianist Giovanni Velluti has forged a distinguished international career as soloist, chamber musician and accompanist. He has enjoyed a particularly important close association with Katia Ricciarelli, whom he has partnered since 1994 in many tours and television broadcasts throughout Europe, America, Africa and the Middle East, and in many television broadcastings. 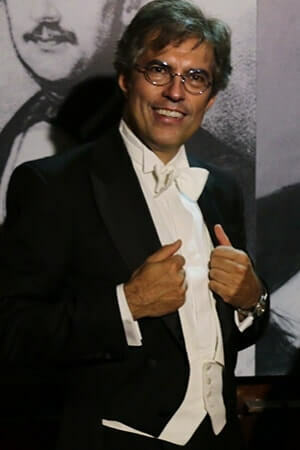 Other leading singers with whom he has worked regularly are Andrea Bocelli, Gianfranco Cecchele, Manuela Custer, Daniela Dessì, Kristian Johansson, Daniela Barcellona, Carlo Lepore, Giacomo Prestia, Enrico Salvadori, Gianluca Terranova. Giovanni was decisively influenced by his encounter with the teacher Rodolpho Caporali, a direct pianistic descendant of Chopin and Thalberg. He has performed in the most important Italian concert halls and in more than 30 foreign countries. Born in Rome, she studied at the Santa Cecilia Conservatory and then with Renato Bruson at the Accademia Musicale Chigiana in Siena and with Mirella Freni in Modena. She has performed as the leads in Verdi's "La traviata", Donizetti's "L'elisir d'amore", Mozart's "Le nozze di Figaro" and "Die Zauberfloete", Puccini's "La bohème", both in Italy and abroad. 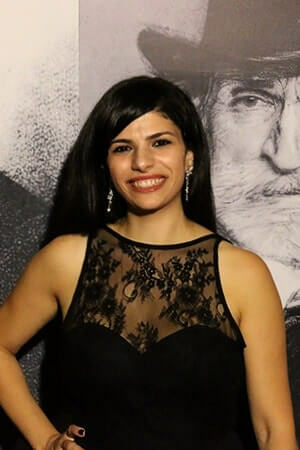 Recently Federica has also taken part in several important gala concerts, such as the one for UNICEF, in Siracusa and the one for Pope John Paul II at St. Peter's Basilica, in Rome. In 2005 she graduates in lyrical singing at the Conservatory "Ottorino Respighi" in Latina, standing out as the best graduated of the same year. She teaches both lyrical and light singing in several schools. From 2006 to 2018 she performes in several concerts, singings arias by Verdi, Puccini, Catalani, Rossini, Schubert, Schumann, Faure, Rachmaninov, Strauss, Vlasov and others. From 2008 to 2018 she plays several roles: Second Lady (The Magic Flute), Kate Pinkerton (Madama Butterfly), Lola and Santuzza (Cavalleria Rusticana), Giorgetta (The cloak), Odabella (Attila), Mercedes and Carmen (Carmen), Aida, Amelia (Un ballo in maschera), Leonora (Il trovatore), Nella (Gianni Schicchi), Tosca. Sign up for our newsletter to stay informed about our concerts, initiatives and special offers.